If you want your garden and lawn to thrive AND want to have a positive impact on your health and the environment, adopting organic gardening practices is the best way to go. Below, we share our top selections of organic gardening fertilizer available for purchase on the internet. Honestly, there's not many truly organic brands using best-practice standards. You will certainly be hard pressed to find the best products for your organic lawn and garden in your local gardening shop. But no fret! 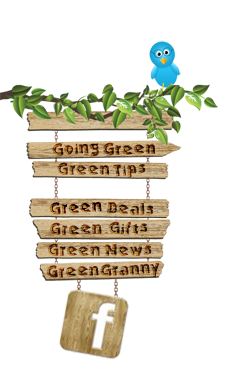 Save With Green has you covered! One of the largest contributing factors to water pollution is chemical runoff from agricultural and gardening applications. With pesticides and fertilizers being the major culprits of agricultural pollution, it makes sense to use organic gardening fertilizer in place of synthetic fertilizers. At the root - pun intended :) - of organic gardening practices is the proper care and maintenance of the soil. If the soil is organic, your garden is starting off on the right foot. The use of organic gardening fertilizer will help your garden thrive and impact the environment in a positive way. In terms of function, using organic fertilizer is more efficient and sustainable in the long run. Used in combination with organic compost and humus, organic gardening fertilizer helps to build the best foundation for your organic lawn and garden.